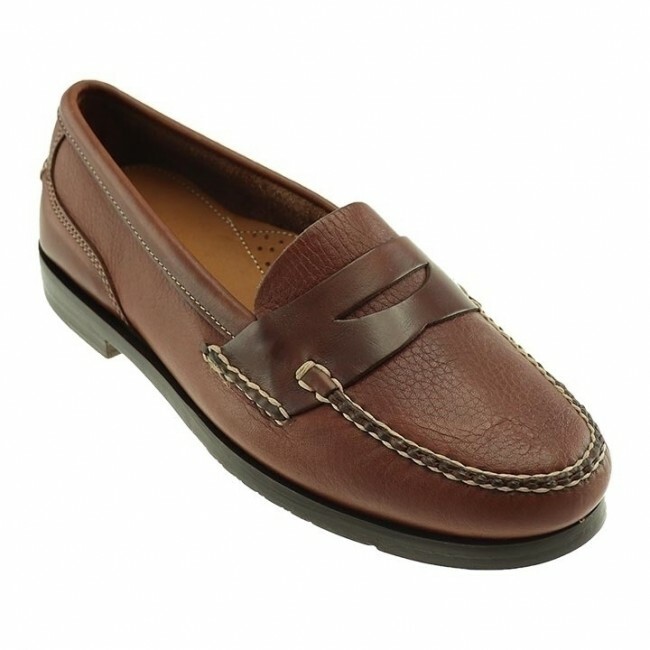 Traditional penny loafer style with handsewn details. Featuring leather covered cushioned insole and combination leather/rubber outsole for comfort and traction. 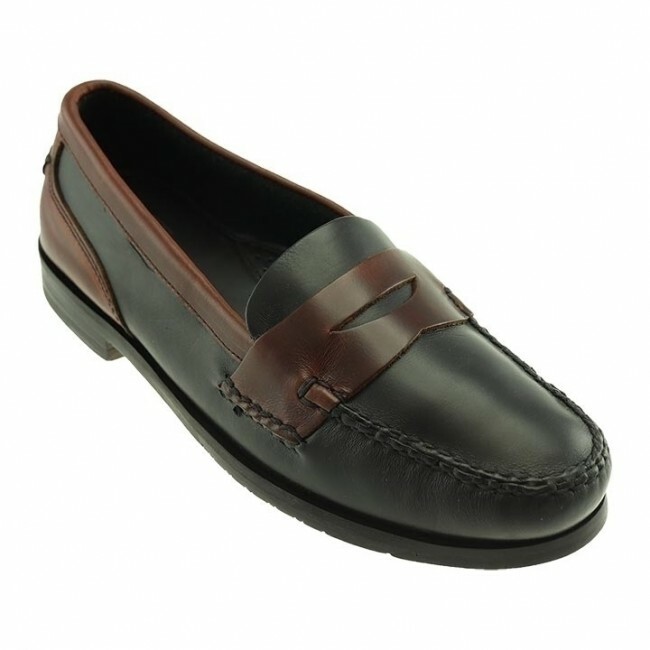 Traditional penny loafer style with handsewn details. Featuring leather covered cushioned insole and combination leather/rubber outsole for comfort and traction. Outsole is handsewn to the last for superior form and fit. Please note that this style runs large; if in doubt, order a half size smaller than your shoe size.